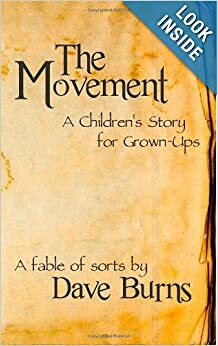 ← Free Kindle Download – THE MOVEMENT: A CHILDREN’S STORY FOR GROWN-UPS – Friday 1/24 – Sunday 1/26! Free Kindle Download – THE MOVEMENT: A CHILDREN’S STORY FOR GROWN-UPS – Today and Tomorrow (1/25-26)! This entry was posted in Uncategorized and tagged Alice in Wonderland, Amazon, Author, C.S. Lewis, Dave Burns, Disney, free, Indie, John Bunyan, Kindle, Lewis Carroll, Narnia, Pilgrim's Progress, The Chronicles of Narnia, The Movement: A Children's Story for Grown-ups, The Wizard of Oz, Uncarvedbooks. Bookmark the permalink.